Go on! Hit me with your best shot! Fire away! It’s like a scene from an Adam Sandler movie. All you need is a trailer, recliner, your favorite target and the all important armadillo. Brains appear to be optional. 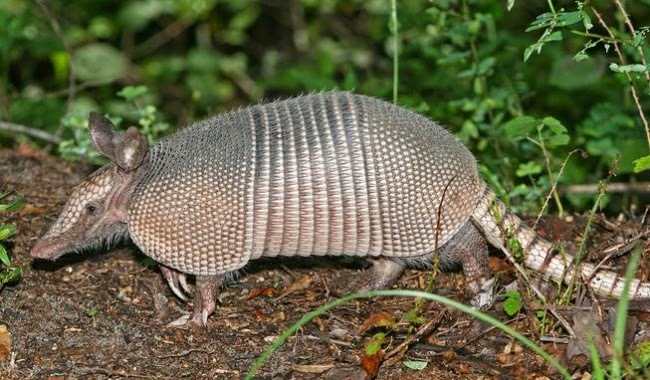 54-year-old Larry McElroy, of Leesburg, Georgia, shot an armadillo with his 9mm handgun while standing outside his mobile home. The bullet ricocheted off the animal's armor, went through the back door of the mobile home and into the back of a recliner where McElroy's mother-in-law was sitting. 74-year-old Carol Johnson was struck in the back. She was taken to the hospital with non-life threatening injuries. Residents are allowed to shoot armadillos as a way to get rid of them and McElroy will not be charged for the shooting. Just a reminder, know what’s behind and around your target. You may not go to jail for shooting the person you meant to shoot, but you almost certainly will for shooting the person you did not mean to. I hope Carol feels better.